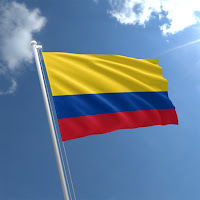 Country Summary: The United States and Colombia have been partners under the Hague Abduction Convention since 1996. Colombia was cited for non-compliance in the 2015 and 2016 reports. Significant Developments: As of January 1, 2016, a procedural change limited the number of times a Convention case can be appealed. Prior to this change, some cases were delayed by numerous appeals. Central Authority: The United States and the Colombian Central Authority have a strong and productive relationship that facilitates the resolution of cases under the Convention. Judicial Authorities: Judicial processes caused delays in some cases during 2016. Enforcement: Decisions in Convention cases in Colombia were generally enforced in a timely manner. Recommendations: The Department and the Colombian Central Authority will continue the effective processing and resolution of cases under the Convention.